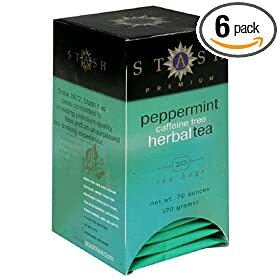 So this morning when I tried the Stash’s Peppermint Caffeine Free Herbal Tea, my life got a zillion times better from that moment. It’s minty aroma got me kicking for the day and I felt thoroughly refreshed. In fact I was so impressed with it that I distributed a tea bag each among my workmates and guess wat? They loved it too! Rush to your nearest grocery store and grab a pack today. Jump start your day with this great tea! Thanks for the suggestion, I’m going to run get a box now.